Capacity range is from 600CFM to 1500CFM. The cassette is designed for use in all forms and sizes of commercial offices & retail environments, enhancing your comfort and providing you better energy efficiency. Streamlined plate ensures quiet operation. 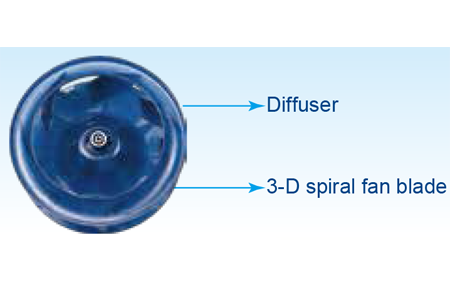 Advanced 3-D spiral fan design reduces air resistance and operation noise. 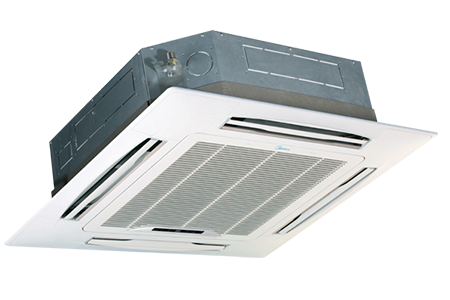 Four air discharge ports provide strong air flow circulation to cool or heat every corner of a room and evenly control temperature. 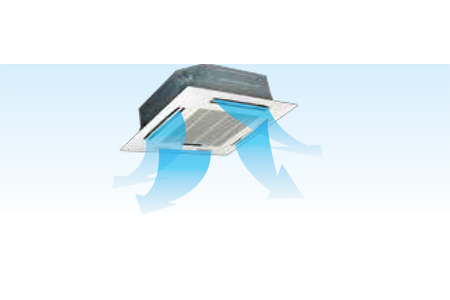 High airflow mode can maximize the conditioning effect in rooms that are over 3m high.